We know where to find the cutest clothes for baby boys! 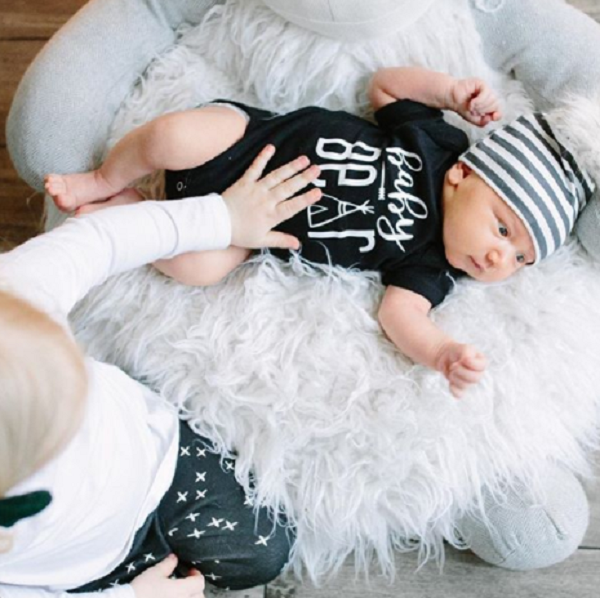 Whether you are looking for take-home outfits or newborn photography outfits, we have adorable options for your little man! This Dark Grey Jogger outfit is one of our best sellers! It’s buttery soft fabric will keep your little guy cozy. Bring you boy home in this stylish look! Don’t forget the matching slouchy hat! Get big brother excited about his new little buddy! Big Brother and Little Brother t-shirts are fabulous for photo opportunities or every-day wear. Our hearts are melting!!! This organic thermal footie features a snap front closure to make changes a snap! He is sure to be cozy and you are sure to be adoring him in this organic thermal by L’oved Baby. Whether he is scooting around, walking, or running… Keep your little one’s feet dry and warm with these stylish moccs. Handmade with love! What else can I say… this outfit is just so darn cute! This onesie paired with the grey leggings is the perfect take-home outfit to show some personality. Search our other graphic onesies like Baby Bear, Worth the Wait, or Wild One to find something to fit your unique style. Who doesn’t love a little baby bear?!?! And we get all sappy when we witness sibling love like this (insert “awe”). This baby bear was such a hit, we now carry bear shirts for the entire family! A versatile design that’s great for swaddling, nursing, cuddling, and more. Little Unicorn swaddle blankets are so soft and come in original prints to suit your unique style. Check out our full selection of swaddle blankets! Every father wants to leave a legacy for his children. These Legend and Legacy hats are a modern take on the special bond between fathers and their children. A Father’s Day must! Well here we are in Washington state… the great PNW! 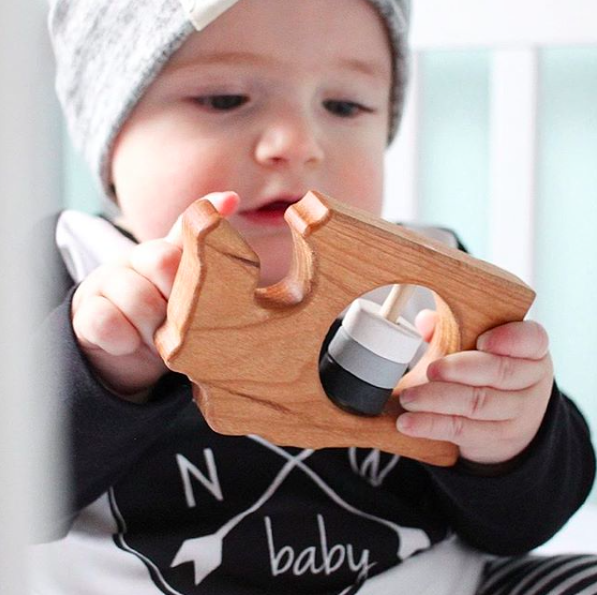 Show your pride with organic materials and modern styles from PNW Baby. Your little boy will love the softness of this raglan tee! Top it off the look with the all natural wood Washington State rattle. 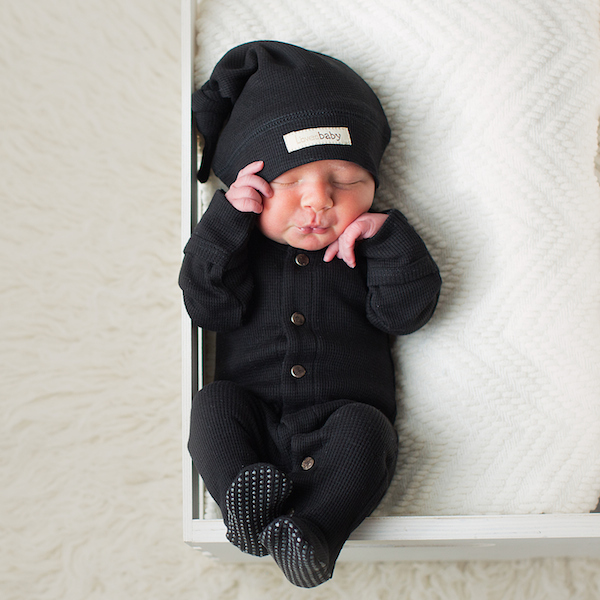 Looking for the perfect outfit for newborn photos? SugarBabies has you covered! From hats to leggings & cozy blankets we have everything you need for photos that will last a lifetime! We love sharing our favorite items, ideas, and information with our customers. Thank you for visiting our blog! Use code: BLOG10 at checkout for savings! Hi Michelle, You can find many of these looks on our website http://www.shopsugarbabies.com. Thanks for visiting!